Established in 2014, North Idaho Cider is a partnership of three good-natured guys, Keith Allen, Matt Peterson and Jeff Selle. Born from an initial interest in brewing their own beer, curiosity led them to try their hand at making hard apple cider. Over time and with deliberate collaboration they collectively developed an affinity for dry ciders with great apple flavor and influences of other fruits and natural ingredients. One of those influences is chai tea. With the arrival of fall and the inevitable arrival of winter, North Idaho Cider has released its fall/winter seasonal Chai Spiced Cider. 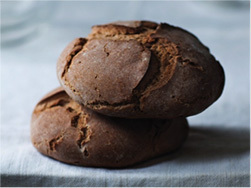 “This creation is our offering of the comforting spices of fall and the holidays using real cinnamon, clove and cardamom. A touch of ginger provides a crisp freshness while the finish is dry and clean with subtle notes of vanilla,” according to Keith Allen, Co-Founder and Chief Marketing Officer. North Idaho Cider uses 100% fresh pressed Northwest grown apples to make its dry ciders. Chai Spiced, with a 6.9% ABV, pairs well with many foods including fall soups and dishes with turkey or pork. 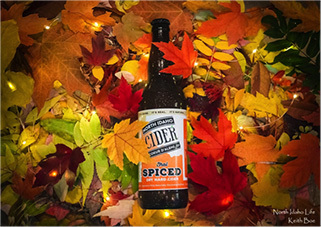 North Idaho Cider’s Chai Spiced is available in bottles and on tap in its tasting room located in Hayden, Idaho, at 11100 Airport Road, Bay 5. Bottles are also available at select retailers in North Idaho and in the Spokane, Washington, region; and all North Idaho Cider bottled products can be ordered online and shipped throughout the United States too! 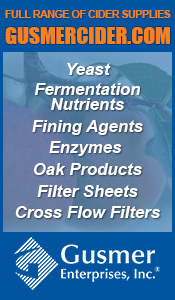 For more information, please visit NorthIdahoCider.com. Photo courtesy of Keith Boe of North Idaho Life. Just because summer days have rolled out and picturesque fall days have fallen over New England doesn’t mean you shouldn’t plan a trip to the Cape! New England foliage isn’t the only benefit to fall days in Cape Cod. While basking in the beautiful fall New England weather, make sure to try some of Shoal Hope Ciderwork’s cider, Provincetown’s only true local craft beverage. 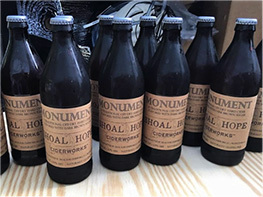 Shoal Hope Ciderworks is a new commercial small batch hard cider producer that has made its home in one of the most idyllic vacation spots on the New England coast, Provincetown (Massachusetts) nestled at the tip of Cape Cod. Eight years of vacationing to Provincetown helped Robert develop relationships with local year-round and seasonal residents. He credits these friendships with encouraging him to make the leap of faith and open Shoal Hope Ciderworks. Robert discussed his admiration for Provincetown, including the people, businesses, and the social and cultural vibe. “I truly appreciate the guidance and support I’ve received from local business owners and town agencies throughout this process. I couldn’t think of a better place to establish the ciderworks and I look forward to growing the company and creating job opportunities for the town and the residents. We’re proud to be Provincetown’s only truly local craft beverage,” avowed Robert. Provincetown’s tourist season not only helped bring great initial success, but great feedback for Robert to use for expanding his business. Shoal Hope Ciderworks has begun to develop new markets within the greater Boston area. Not only are they working to expand their cider distribution, but plans for growing production capacity have also begun to ensure they can support and fulfill these new distribution outlets. Shoal Hope Ciderworks’ future looks bright with new growth and development. Please visit ShoalHopeCiderworks.com for additional information. Photos courtesy of Shoal Hope Ciderworks. 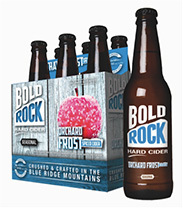 Bold Rock Hard Cider has announced the launch of its new seasonal cider, Orchard Frost. Available on shelves beginning November 10th, Orchard Frost is a winter-inspired cider made with locally grown Blue Ridge Mountain apples that features hints of cinnamon, nutmeg, clove, vanilla and caramel. First test-launched in Bold Rock’s Virginia tap rooms nearly two years ago, Orchard Frost has become a popular seasonal favorite that will now be found throughout the award-winning cidery’s growing distribution footprint. “Making Orchard Frost available at retailers throughout our distribution footprint was the logical next step, and we can’t wait for those yet to experience this delicious seasonal to see what the fuss is about,” says Vice President of Retail Operations Lindsey Dorrier III. Orchard Frost will be on shelves throughout the cider company’s distribution area, which includes 10 states between Eastern Pennsylvania and Georgia. The release of this cider is also perfectly timed with Cider Week Virginia taking place from November 10-19 across the state. Check out CiderWeekVA.com for a full listing of Cider Week events that include festivals, releases, dinners, tours, tastings and more! For more information on Bold Rock’s Orchard Frost, please visit BoldRock.com. Photo courtesy of Bold Rock. 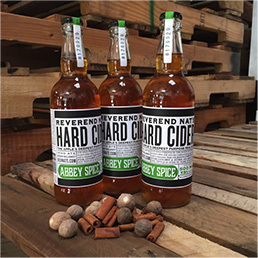 Five and a half years after its first sales, Reverend Nat’s Hard Cider is tripling its cidery space while receiving investment from Shobi Dahl, co-founder of Dave’s Killer Bread. The new facility will be dedicated to production cidermaking. The company’s existing cidery will get a facelift in 2018 to expand the taproom and retail operations. “I started this business in my basement without imagining that it would be successful enough to move beyond my house,” said Nat West, the eponymous founder of Reverend Nat’s Hard Cider. Since moving into the current cidery in late 2012, the business has added two adjacent spaces in the Bindery Building on 2nd and Schuyler in Northeast Portland (Oregon), bringing its total space to about 7,000 square feet. The new facility, located at 1211 N. Loring Street in Portland (Oregon) is about one mile from the current cidery and is over 21,000 square feet. Reverend Nat’s expects to be able to produce close to 25,000 barrels in the new facility with additional tank capacity. It produced 4,500 barrels in 2016 and is on track for 5,500 barrels in 2017. The company expects to transfer operations from its current cidery to the new facility in early 2018. Reverend Nat is a single-minded cider evangelist and craft beer revolutionary who searches the world for superior ingredients to handcraft the most unusual ciders that no one else will make. Founder Nat West started making cider at home in 2004 and opened Reverend Nat's Hard Cider in September of 2011. With unique products like the multiple-fermented Revival, dry-hopped Hallelujah Hopricot and quinine-bittered Deliverance Ginger Tonic, he is making cider in the creative spirit of beer geeks. To learn more, check out the website at ReverendNatsHardCider.com. Photo courtesy of Reverend Nat’s Hard Cider. Angry Orchard announced the release of Pear, a delicately crafted fruit cider made with both apples and pears. 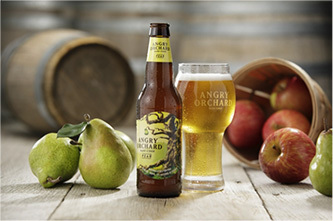 The cider makers at Angry Orchard are passionate about high-quality ingredients and exploring innovative techniques to create unique and interesting styles. Angry Orchard Pear is made with a blend of domestic culinary pears and apples grown in the United States. This style provides a fresh take on traditional hard cider and is refreshing, versatile and perfect to enjoy during all the season’s relaxing moments. The Angry Orchard cider makers chose to make a cider with pears because, like apples, they have a long history in Europe as a traditional fruit used to make alcoholic beverages. 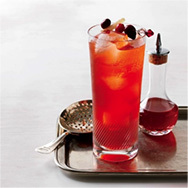 Perry, as an example, is a pear-based drink that has been a longtime favorite in the United Kingdom and other parts of Europe. While Angry Orchard Pear is not a perry because it’s made with both apples and pears, it brings the nostalgic flavors of the harvest to life with a balanced yet complex taste. Angry Orchard Pear blends domestic pears such as Bartlett, D’Anjou and Bosc, and culinary apples such as Gala, Fuji, Golden Delicious and Granny Smith. With bright, clear golden color, the cider showcases the mellow sweetness of pears with crisp apple notes for a well-rounded, smooth mouth feel and pleasantly dry finish. After travelling the world and experimenting with different apple varieties and cider making techniques for more than 20 years, Angry Orchard cider makers are committed to innovation, developing new styles and perfecting the craft of cider making, from the flagship style Crisp Apple to its latest release of Pear. Angry Orchard’s Cider House in New York’s Hudson River Valley has led to expansive research and recipe development from the cider making team, including this newly available Pear offering. Another amazing cider developed from the Walden Cider House is First Flora which recently won a medal at the Royal Bath & West Show, a prestigious international cider competition, this year. First Flora is a wild fermented cider made of bittersweet and sharp apples with high acids. The cider was aged for approximately a year in previously used Calvados barrels; and the result is a dry, unfiltered cider with a golden color at 6.7% ABV. Angry Orchard also announced a national launch of Angry Orchard Rosé in the first quarter of 2018. This cider will capitalize on the millennial love of rosé, and is hoped to increase revenues for the brand. Angry Orchard Pear (5.0% ABV) is available nationwide in six-packs for a suggested retail price of $7.99-$9.99 (depending on market). 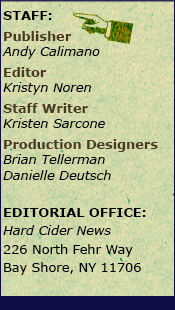 Like all Angry Orchard hard ciders, Pear is gluten-free. For additional information, please visit AngryOrchard.com. Photo courtesy of Angry Orchard and The Boston Beer Company. The United States Association of Cider Makers (USACM) has adopted its first-ever set of cider style guidelines, a milestone that will greatly assist in educating both the trade and consumers about cider to make better sense of the wide array of ciders found on a store shelf, a menu or in a distributor's catalogue. Drafted by consensus by the Board of Directors, the USACM style guidelines are available now for free download on the organization’s website. Divided into two categories, Standard and Specialty, the guidelines span 10 styles overall including: Modern Ciders, Heritage Ciders, Modern Perries, Heritage Perries, Fruit Ciders, Hopped Ciders, Spiced Ciders, Wood-Aged Ciders, Sour Ciders, and Ice Cider. 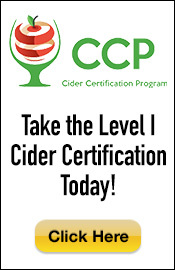 The guidelines were established to be incorporated into the USACM Certified Cider Professional (CCP) program, the first-ever US-based cider accreditation program designed for distributors, servers, retailers and enthusiasts who are interested in becoming bona fide experts on all things cider. The USACM style guidelines are not meant as competition guidelines, although competitions may pick them up for use. 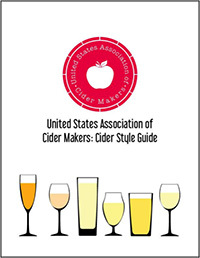 For more information about the USACM Cider Style Guidelines or to download the guide, please visit the organization’s website at CiderAssociation.org. Photo courtesy of the USACM.